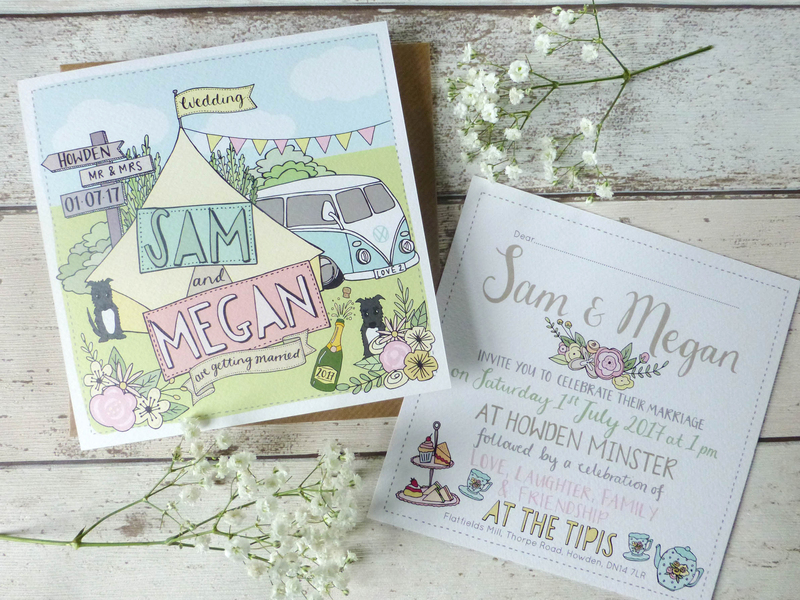 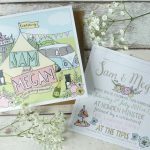 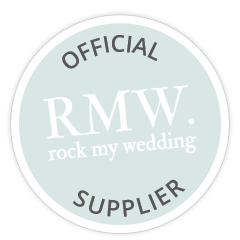 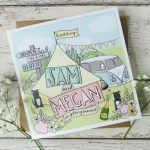 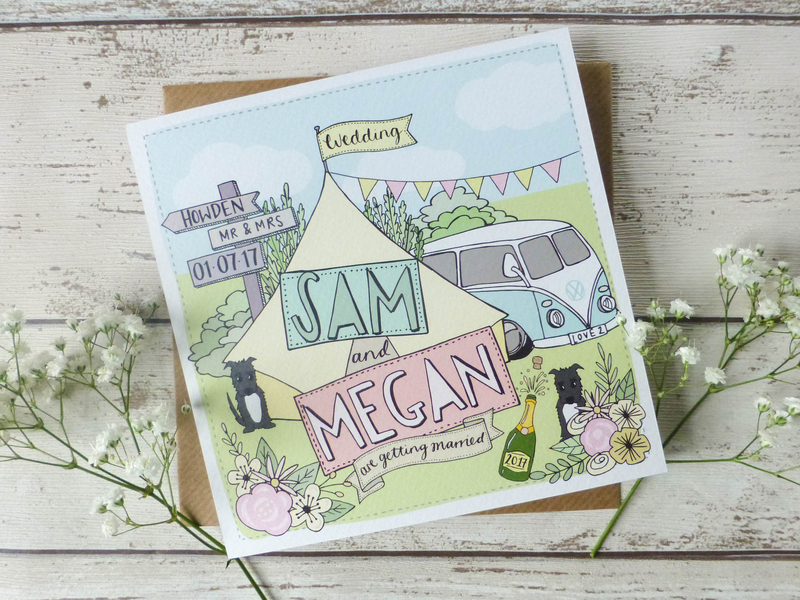 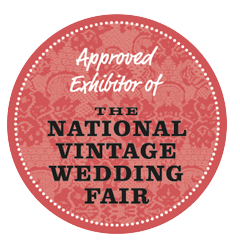 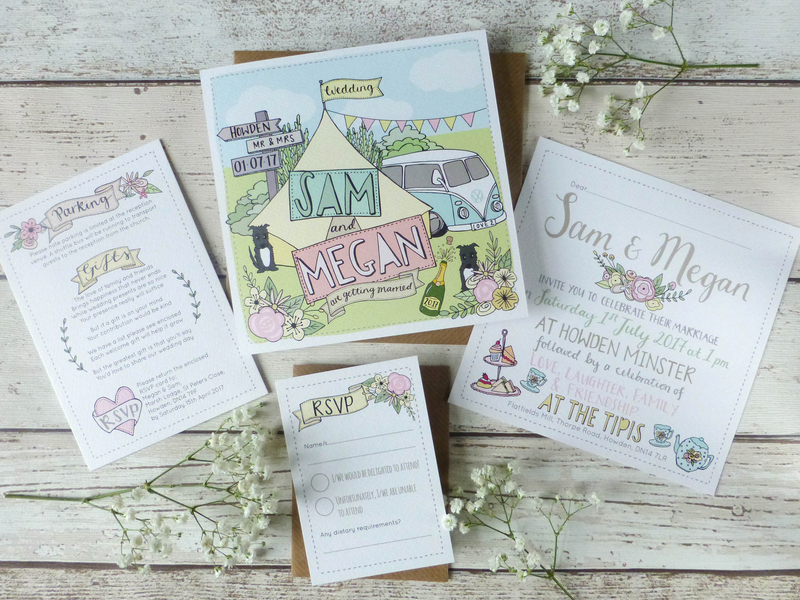 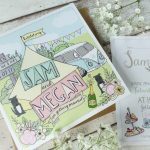 Megan & Sam were going to be celebrating their wedding in a huge tipi so this, along with a vintage VW Campervan was the main feature of their design. 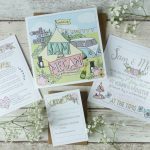 The bespoke drawing also included their 2 dogs, lots of flowers in neutral pinks, creams and greens and champagne flutes, teacups and cakes. 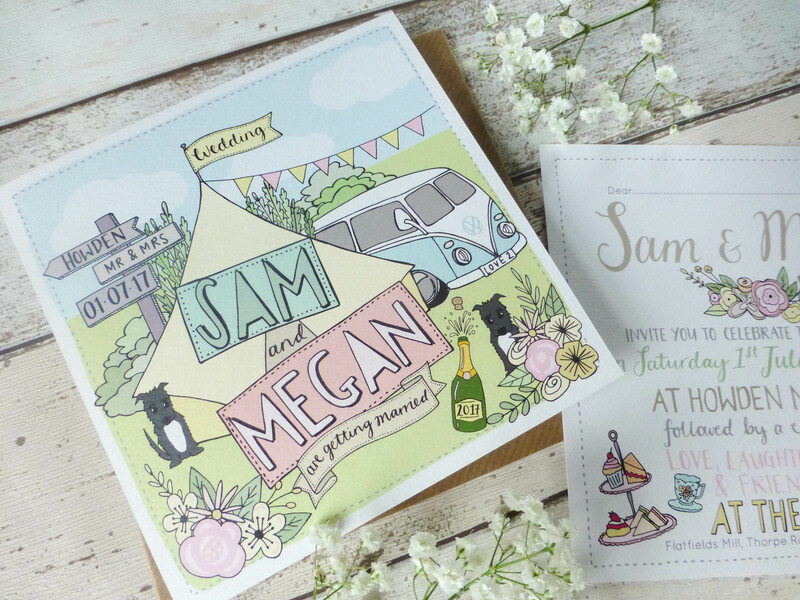 The main invitation was printed on a square card with an additional A6 info card and an A7 RSVP card.